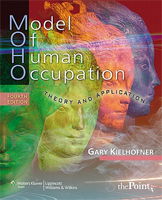 The Model of Human Occupation (MOHO) explains how occupations are motivated, patterned, and performed within everyday environments (Kielhofner, 2008). 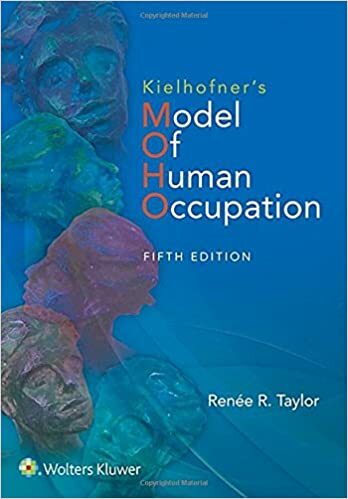 It has been argued that MOHO is the most widely-cited and utilized occupation-focused practice model in the world (Haglund, Ekbladh, Thorell, & Hallberg, 2000; Law & McColl, 1989; Lee, 2010; National Board for Certification in Occupational Therapy, 2004). MOHO Web is a confidential online resource for occupational therapy practitioners, educators, students, and researchers. 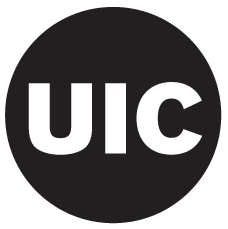 Here you may access and use all of the MOHO assessments and interventions that are supported for distribution through the University of Illinois at Chicago. Assessments for sale have been psychometrically validated using classical test theory and RASCH approaches. References to this research and other evidence for the use of MOHO throughout the world are available in the Scholarship section. Additionally, MOHO Web offers access to translated versions of the MOHO Assessments in 20 languages. The Model of Human Occupation and its corresponding assessments and resources are the result of three decades of extensive contributions and collaborations from the late Dr. Gary Kielhofner, Professor and Head of the Department of Occupational Therapy at the University of Illinois at Chicago. MOHO Web is dedicated to his memory. "It's not what you take when you leave this world behind you. It's what you leave behind you when you go." - Randy Travis. Already have a MOHO Web account? If you already have an account at MOHO Web, you can log in to create a new assessment, review previously entered assessments, run reports or purchase additional assessments. Check Out These New Editions of Text Books! Four new translations of the Introductory MOHO video are now available! See MOHO in action by watching The Story of Ramona on our YouTube page! French and Japanese translations now available on YouTube! Occupational Self Assessment - Short Form (OSA-SF) is available for purchase through MOHO Web. The assessment is available free of charge to all existing OSA users under “My MOHO” tab. The OSA-SF for Adaptive Sports Populations (OSA-SF - Adaptive) is now available to all existing OSA and OSA-SF users. The OSA-SF - Adaptive modified the OSA-SF for goal setting while participating in adaptive sports. Residential Environment Impact Scale (REIS) Version 4.0, 2014 is available for purchase through MOHO Web. Child Occupational Self Assessment (COSA) Version 2.2, 2014 is available for purchase through MOHO Web. The assessment manual is available free of charge to all existing COSA users under “My MOHO” tab.